New trends are developing in home security systems everyday. They have definitely improved in structure and price since the first home security system. The affordability makes it accessible for many families. 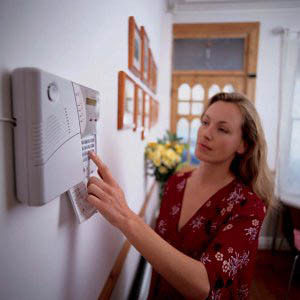 Not only do home security systems prevent criminal activity, but they also serve other purposes. The wireless system eliminates unnecessary wires and holes in the walls. This technology is actually very simple to install. With the wireless system you can cover all entry points and you do not have to worry about wires being cut off by potential intruders. Camera and video technology would be classified in the self-monitoring category because you have complete power over the system. You can even have the video footage sent to your laptop or even your cell phone. Without opening the door find out who is at the door or who left a package the other morning. Believe it or not, right now cameras are extremely cheap which makes this security route affordable. Not only can you have the footage delivered to your laptop and cell phone, you can also send them to your DVR or your computer hard drive. Just throw away the videotapes because you will not need them anymore. If you want to avoid paying extra monitoring costs that security companies charge, you can monitor your home security system with your everyday pieces of technology such as your cell phone, computer or tablet. Self-monitoring will notify the head of the household when the alarm has been set off. This means that you are accountable for calling the police or the fire department. You are able to use your cell phone to turn you system on and off, watch the video feed from your home security cameras, and even read text message notifications that your alarm has been set off. This is just another addition to your home security system. The home automation option has the ability to control the thermostat, activate humidity controls, turn certain appliances on and off, activate or deactivate electrical outlets and lights, and even manage electronics like your television or your stereo. If you forgot to turn off the television when you ran out of the house for work, do not worry. All you have to do is go to your phone application and turn it off. It is that simple. Clearly you have a lot of options when it comes to picking from all of the home security trends out there. What is important is that you choose the system that Is best for you.